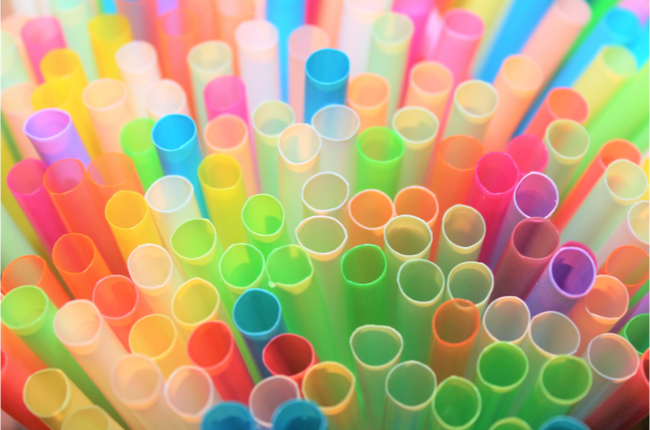 The war on plastics has recently shifted gear as more multinationals and countries move towards banning plastic straws. Indian Prime Minister Narendra Modi pledged in June to ban all single-use plastics in the country by 2022. The same month, fast-food chain KFC stopped providing plastic straws and lids for drinks across its 84 outlets in Singapore, joining corporate giants Ikea and cruise line company Royal Caribbean in their moves against such particular plastic products. Singapore goes through more than 2.2 million plastic straws daily. By the end of this year, the 23 Asia-Pacific hotels managed by Hilton will stop providing plastic straws as well. So why is there such a focus on the plastic straw now? First, the rising public awareness against single-use plastics. Society as a whole has become aware of the environmental harm posed by everyday products such as plastic bags, straws and packaging. They are mostly discarded after being used once, but linger in the environment for hundreds of years due to their non-biodegradable nature. Plastic straws are an especially visible sign of this waste because they are generally unnecessary, unless one is a small child or disabled. Recycling might seem an obvious solution but this is hard for plastic straws because of their size. They are so small that it is difficult to sift them out from all the material processed in recycling facilities. Second, there are many alternatives to plastic straws, such as paper straws - which decompose more easily and are hence less harmful - reusable straws, or even just drinking directly from the cup or can. For all the effort being put into removing plastic straws from daily life, will it truly make a difference? More than eight million tonnes of plastic end up in the world's oceans each year, according to United Nations Environment Programme figures. A report by Bloomberg calculated that if all the straws currently on the world's beaches suddenly washed into the oceans, they would make up just 0.03 per cent of that eight million tonnes. But stopping the use of plastic straws is not the end goal. Rather, it is yet another step in the right direction. It shows that society recognises the need to cut down on waste, and that the public can take steps against overconsumption. In that regard, the fight against plastic straws is one to be supported and celebrated.